CMO HSE is a health, safety & environment (HSE) management software which allows businesses to manage compliance and automate workflow. The solution can either be deployed at the client end or hosted in cloud. The web-based system acts as a centralized repository to collect, track, and report data in real-time. CMO software helps businesses to report essential information, effectively manage risk, ensure compliance requirements, and improve operational performance. CMO HSE has an intuitive dashboard that allows users to track progress of ongoing assignments and automate reporting. Users can also log and manage incidents, schedule activities and manage actions. It can integrate with other enterprise applications like ERP and HR solution through open API. The product also offer features such as eliminating duplicate entry to ensure that users spend less time in data input and improve overall safety of workforce such as tracking employee health record and updating illness or injury in employee's medical history. The audit management feature allows to centralize company's audit data and streamline audit reporting. Other features includes compliance management, training management, meeting management, inspection management, document control and behavior based safety measures. The solution can be accessed through mobile based app available for android, iOS and windows smartphones. CMO compliance is suitable for small, midsize business and large enterprises. There are currently no reviews of CMO HSE Software. 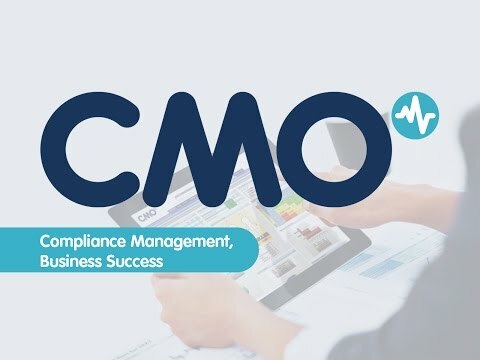 •	CMO Compliance identifies and tracks behavioral risks at workplace and helps in reducing incident rates through automated recording of incidents. •	The product allows to document all resources and best practices across workflow and distribute it to users to perform operations in a minimal risk environment. •	Clients can manage meetings and maintain audit trials by generating meeting reports that can be circulated across all levels in the organization. •	Set and track organization and team wide objectives and goals related to health & safety through real time dashboard. •	With CMO Compliance software users can automate workflow processes and configure notifications or reminders. •	CMO Compliance can either be deployed on premises or can be subscribed as a SaaS solution. Below are some frequently asked questions for CMO HSE Software. Q. What type of pricing plans does CMO HSE Software offer? Q. Who are the typical users of CMO HSE Software? Q. What languages does CMO HSE Software support? Q. Does CMO HSE Software support mobile devices? Q. Does CMO HSE Software offer an API? Yes, CMO HSE Software has an API available for use. Q. What other apps does CMO HSE Software integrate with? Q. What level of support does CMO HSE Software offer? Q. Which apps is CMO HSE Software compared to most often?